Select File>Open(Cmd-O) menu option, or drag image files, or folders with image files, and drop to the File List area. 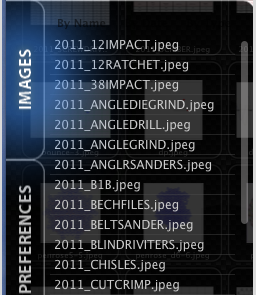 The files are added to the Image list. Clicking on the images in the Image List makes then selected in the Preview Area.